On Leg 2, we were lucky enough to have youth ambassador Raven Lacerte. She is a proud member of the Carrier First Nation in northern B.C. and belongs to the Grizzly Bear Clan. 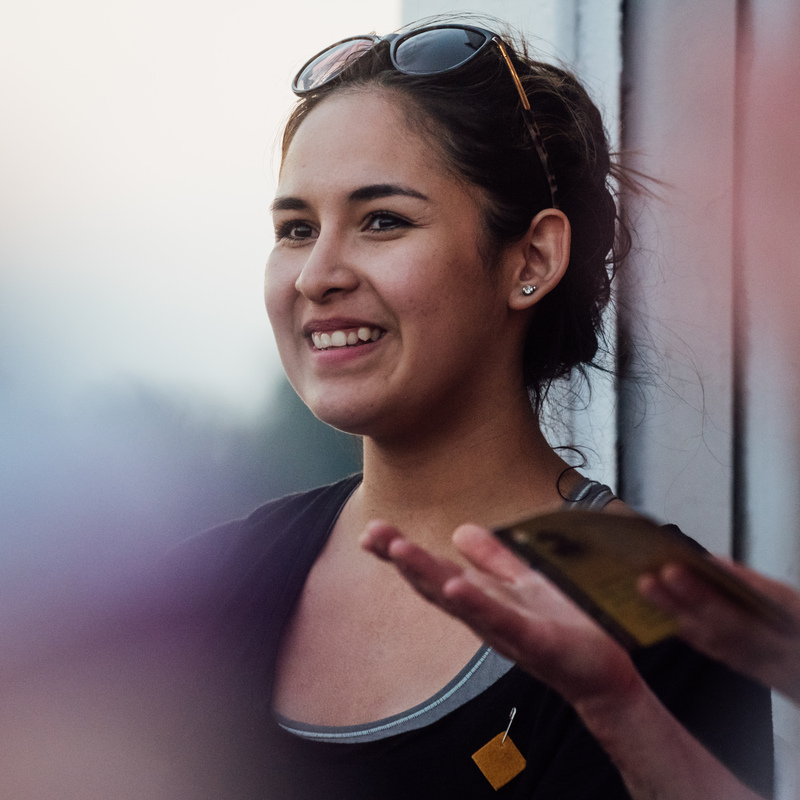 She is the co-founder and Youth Ambassador for the Moose Hide Campaign, a grassroots movement of Indigenous and non-Indigenous men and boys who are standing up against violence towards women and children. As leaders, politicians and community members gather in Ottawa today, we thought it appropriate to share a video of Raven speaking in her own words about why this issue warrants our continued attention. After sharing her story and the significance of wearing the pin, many C3 alumni have taken the pledge and continued to spread the word. Alex Cuba, Leg 2 singer songwriter has shared the Moosehide Campaign with thousands at his concerts. 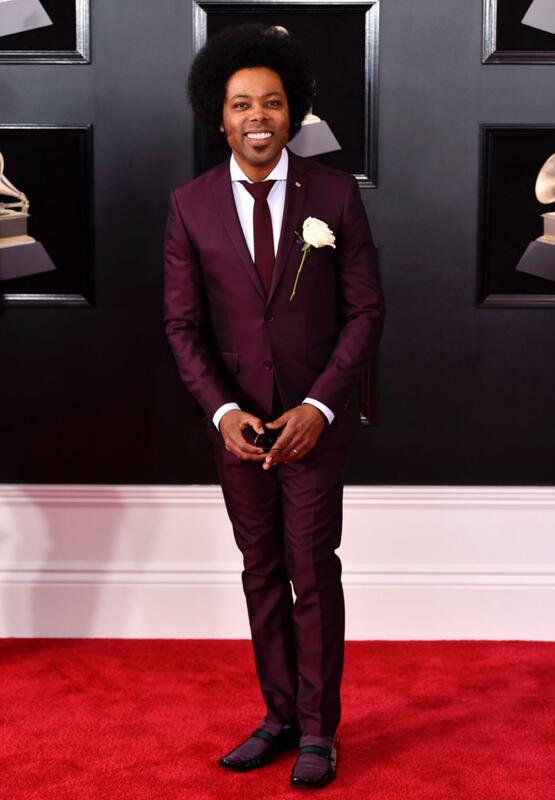 Here is picture of him wearing his pin on the red carpet at the Grammy Awards in Madison Square Garden. 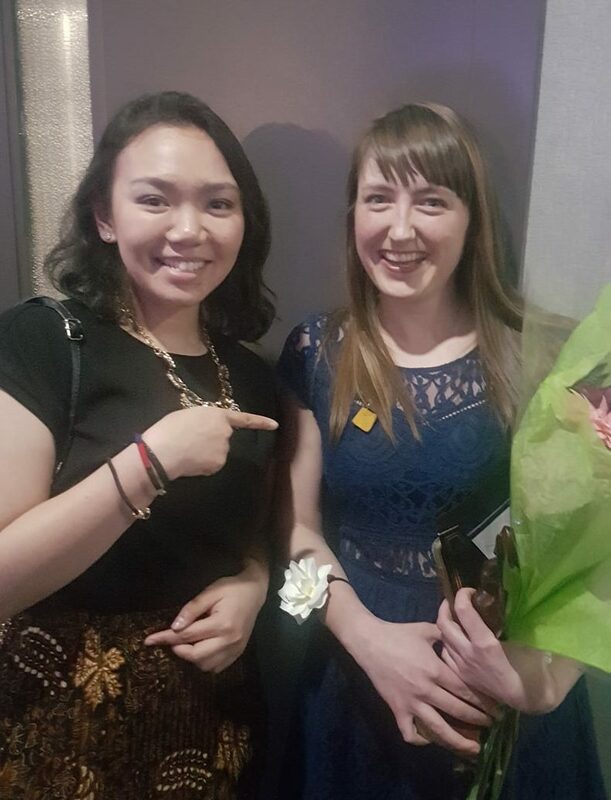 Khairunnisa (Inda) Intiar of Leg 3 spotted fellow Moosehide pin-wearer: Krysta Cowling, who won a Woman of Distinction Award from the YWCA in Moncton for the young woman advocacy category.